Penny Dolan’s post Wanted: One Technical Geek made me think of how the departure of my three teenagers over the next few years will affect my writing. I have a technical director in the shape of my husband, so there’ll be no service interruption on that front, but many other problems may arise. I use words that label me as a teenager from the 70s and 80s. Fab. Cool. Get off with. Pictures. Snakebite. 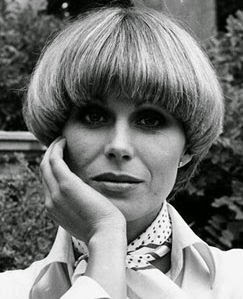 Purdey. Bimbo. Sloane. With no idea what bands, series, gameware and social media are ‘happening’, I lazily slot in One Direction and Gameboy, knowing that my hopelessly yesterday attempts will be crossed out, sometimes with a sarcastic comment, and Que Sera by Justice Crew and Xbox One popped in. Meal times are essential for solving problems with my plot, or lack of. I outline the issue and let the four heads around the table come up with the answer, for which I take credit. How well this works seems to be directly proportional to the number of brains involved. A decline is inevitable. My first four books were for ages 7-11. Uncannily, I had exactly that age range in my family. My two news books are YA. Uncannily, I have exactly that age range in my family. Does that mean my future will see me attempting an adult novel? I take a dustbin of props on my school visits. Most of the props do not belong to me. 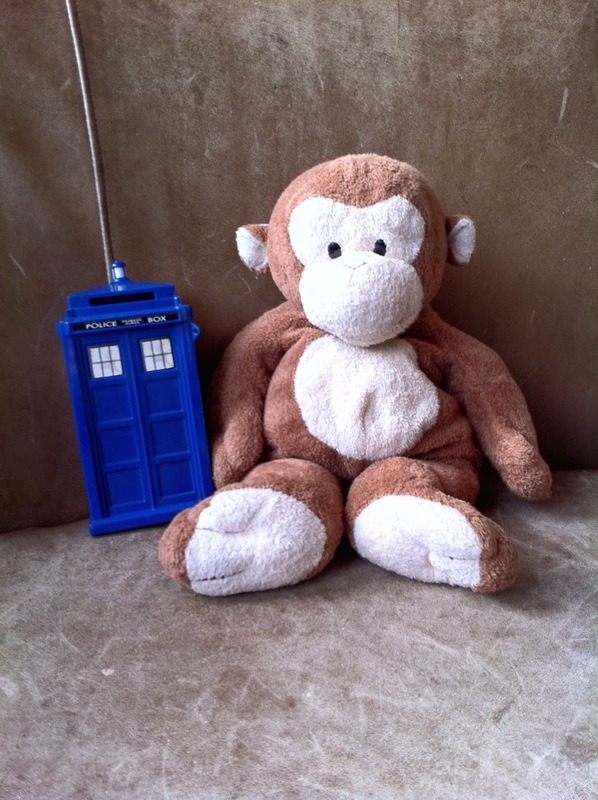 I will lose my light-up skull, my night-vision goggles, the tardis and everyone’s favourite, Dangles the Monkey. I expect I will be allowed to keep the lime green fairy wings and the Harry Potter glasses. I cannot write full-time, and sometimes hardly at all, because I have all sorts of important jobs to do with the kids, like watching The Great British Bake-Off together, going to Costa for hot chocolate, and making banana muffins. When I do not have anyone to do these things with or for, will I have to spend more time in my study? The school day provides a fixed hour to get up, a chunk of time when I have the house to myself, and a reason to cook a meal sometime around six. I am grateful for the routine because left to my own devices I can imagine lolling around in my pyjamas until late in the day and then writing in the dead of night, still wearing boots. If I’ve spent a good few hours in the study, I am desperate to talk to someone. This usually means I go to the local shops and talk to strangers. With less people to talk to in the house, the shopping trips and liaisons with strangers will increase. This seems dangerous. I moan about writing. When I moan, rather than telling me to shut up, my children say encouraging things. In order to not end this post dreading what’s to come, I can see that all of the problems have potential upsides. I may find writing in boots at three in the morning produces wonderful results. I may, through my idle chats with fellow shoppers, find a friend, or a story . . . I will, almost certainly, find new excuses like ice-skating, or trying out recipes from The Great British Bake-Off – that would certainly kill a few hours. I may, take the plunge, and abandon my dustbin, because I have been doing the same thing for five years now and it’s probably time for a change. I can entertain without a tardis! I won’t write for adults, because I don’t want to. And anyway, as Anna Wilson pointed out in her post Childish Things? "Booksellers now estimate that almost half of young adult books are being read by people who are over the age of 18,” so I’m there already. There must be other people I know who might enjoy plotting in return for a meal. And being current, well, there’s a novel set in the twenties that has been hovering . . . There we are – I feel better now. Off to watch X Factor – with a child, obviously. You can always get some young beta readers. They don't have to be your own kids. Plenty of schools around. Scout troops are always looking for volunteers. Really glad, Tracy, that you expanded the idea in a way that I could not have done! Good wishes for your greater space in the days ahead. Thank you. Very amusing! I know what you mean... Fortunately I had the foresight to spread my children out, so although one teenager has gone, I still have 8 years till the youngest one skips..!